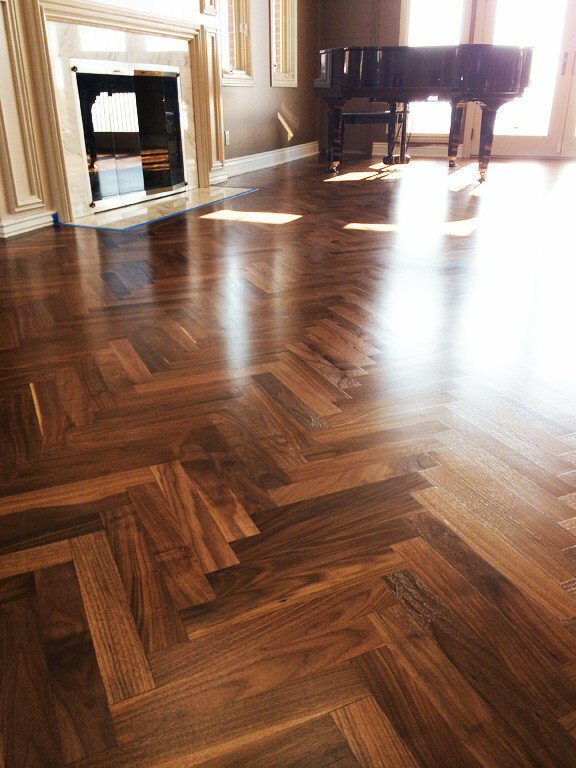 2 1/4" x 14" select-grade walnut herringbone updates this classically-styled living room. 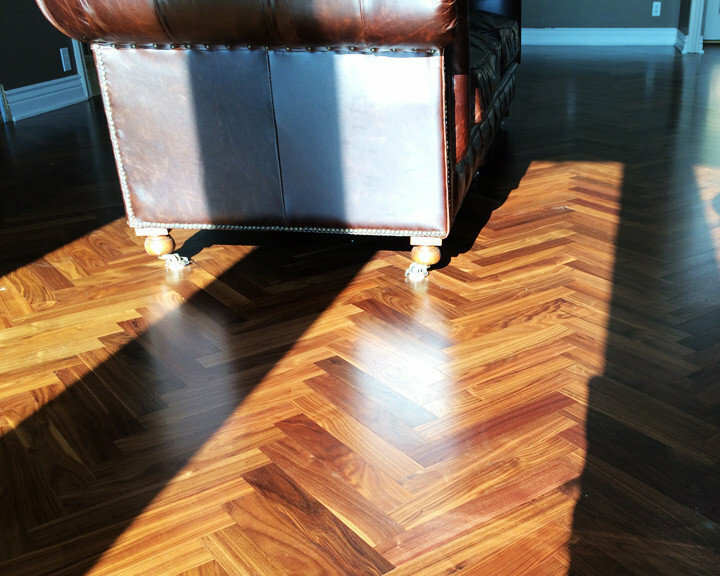 Walnut flush-mount registers provide a clean, finished look to the exterior ends of the room. 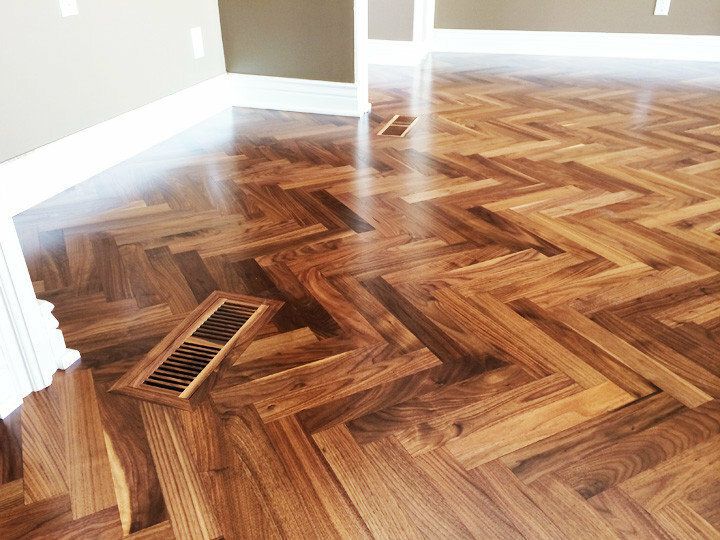 Walnut is naturally warm and inviting, while the herringbone pattern provides elements of both a contemporary space and traditional elegance.